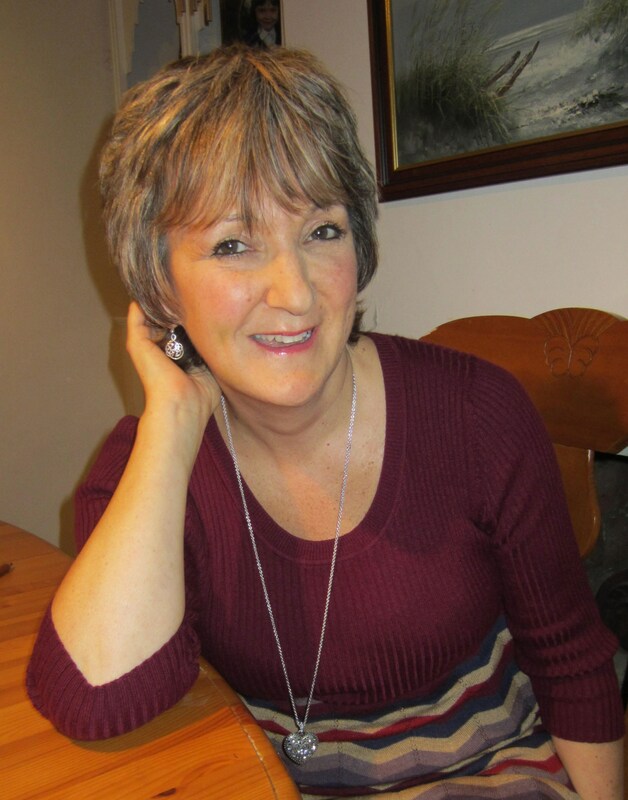 Not too long ago I was contacted by author Debbie Martin and after a few brief email exchanges and a quick peek at her website I realized this was one author I wanted to learn more about. So, with that said, I hope my readers enjoy this interview as much as I did. Please continue reading for more information on Debbie and her work. Almost a child of the sixties, I’ve had quite a varied – and sometimes disconcerting – life until now, but it has always been interesting! I now also work for the University of Winchester as an event organiser for their business networking group: Wired Wessex, so I’m using my contacts and knowledge of business needs to identify speakers and workshop leaders to meet their business community needs too, which is fascinating. I have a novel being released on the 18th January, which when I asked about, I describe as possibly the most unusual love story you’ll read this year, but one also about true courage and finding oneself. Chained Melody is a tale of two men’s journey from boyhood to maturity. They are best friends as children but are completely different in personality. Their lives go in extraordinarily different directions as one embraces his masculinity and the other realises his feminine side by changing his gender. Their worlds collide at a time of great personal discovery, and their feelings towards one another change dramatically too. Eventually their relationship evolves into something special and incredible against the backdrop of prejudice and their own confusing emotions but not before they’ve each had to challenge their beliefs and find their own version of inner courage. It’s actually based on the song ‘Unchained Melody’. I have a lot of songs in the novel and there is actually a ‘playlist’ at the end. However, my characters melodies are chained by convention until they find the courage to free themselves. I was discussing Shakespeare’s ‘Twelfth Night’ with my older daughter as she revised for her A’levels and we after discussing the gender confusion issues, I realized that it was an area that hadn’t been properly considered by a traditional novelist out of the LGBT scene, and it posed the question of not only intrinsically who we were, but how love is expressed. Will was always going to be Will/ Billie , but the other characters names just fitted in as they characters developed. Tom always reminded me of a two-headed tom-boy, and so on. Tom is an alpha male, but even alpha males have weaknesses and failures and facing them is sometimes more difficult for a man who is perceived to be strong and dominant. Will/Billie is more akin to a woman form the very outset – as one would expect for someone who ultimately realizes their inner persona is female. Yet both have their strengths and a certain core determination and I believe we all have that, even though many people let it be swamped by others and end up doing only what they think they should or are expected to do, not what they deeply need or want to with their lives. Yes, huge amounts. I read and researched a lot of literature, self-help information, medical studies and gender issue material and interviewed a transgender woman to be able to write from Billie’s point of view. I also similarly researched the Northern Ireland and army life material and spoke to someone who is ex-army from a tank and signals regiment. The content relating to the army and transgender overall was read and corrected for accuracy by my sources once I’d completed the main draft of the novel. The IVF treatment detail was from my own experiences. It stemmed from writing my dating life anecdotes for fun, and then grew after I attended a short creative writing course and got the bug for writing short stories. My daughter told me about NaNoWriMo and I took up the challenge, reaching about 35000 words of mostly awful rubbish with a few nuggets of gold in there and my first novel (actually unpublished still) grew out of it. I suppose you would call it literary fiction as I don’t write specifically to one genre or another. Chained melody is a love story but it is also a life story. Courting the Dark (the unpublished first novel) is a psychological thriller and the novel I have just finished the first draft of is a psychological drama with a twist of supernatural. I enjoy anything that makes the reader question and use their imagination a in a way they hadn’t expected to hitherto. I would love to also write a comedy and I have an outline and even the first chapter and a title in mind but I think that is some way down the line still. I usually have an idea in mind where it is going in order to achieve movement forward of the plot line, characterisation or dramatic hook, but often that changes as I write because I let the characters drive the narrative. If it isn’t right for them, then whatever I had in mind won’t happen and something appropriate will. Courting the Dark took nearly two years, Chained Melody about ten months and the current third recently completed draft about eight months so far but there is a lot of editing to be done on it. I have written two other dating and relationship self-help books and the first one took about nine months and the second about five months. It depends on many factors – including how much life is taking over time in other areas! I do find that the longer I have a spell I am unable to settle down to write in because of time constraints, the more desperate I become to do so! The plot always continues to grow and develop from my first basic idea as other events and character issues along the way will drive it. You obviously need a basic precept of what the plot will be and how it will develop to event start the book, but art is like life – it changes as life changes around you. I do probably admire Will/Billie most. I admire courage and determination mixed with kindness. Funnily enough Courting the dark has been re-written about three times already and I am probably about to edit it again and remove some more explicit areas because one of its main characters, Lily, is a teenager and ideally I would like the book to be read by YA, but with some more explicit scenes in it, currently it is unsuitable. I love my Lily character and so does my eighteen year-old daughter who laughed aloud at some of her comments. I admire a lot of classical authors and I really enjoy thriller writers like PD James. I have always been a voracious reader. As a child I used to work my way along the shelves at the local library – a bit like a locust! I would come home with an armful of books and have finished them all within days and be champing at the bit to go back for more. I developed a love of literature per se at school and that lead me to university to study English and Fine Art – my two passions by then. I still love going to the theatre and visiting art galleries when I get the chance. There are many books that have had a lasting effect on me. Enid Blyton’s Famous Fives were probably the first major influence in getting me hooked on reading the next and the next and the next as quickly as possible. Shakespeare was a revelation when I started reading and understanding the skill of the writer in my teens. At university, I was struck by the drama and spectacle of the Jacobean tragedians but also knocked sideways by the punchiness of controversial writing like Selby’s ‘Last Exit to Brooklyn’, yet I also love the epic other- worldliness of Tolkien. I would say overall that there are so many influences it would be difficult to lay the blame for my writing now on any specific one of them! Courting the Dark is actually intended to be the first in a two-parter – or possibly a trilogy as I would like to follow Lily through the rest of her school years and off to university. It generally starts with an idea, and that usually grows from something like a short story or an anecdote into an idea of how it could progress. There are usually quite a few false starts before it evolves into a satisfactory plotline and only then do I feel I can start work on it. I’ve often written the ending before I’ve written the first chapter! Certainly that was so with Chained Melody. I recently downloaded Bring up the Bodies by the 2012 Man Booker Prize winner Hilary Mantel to my Kindle (although I really prefer a real book to hold and turn the pages of still) and that embodies for me everything I find difficult to read, sadly. I found it turgid and far too dense –like I was wading through treacle to get to the end of a single page, which then made it difficult to appreciate the story, even though she is a masterly writer. I am somewhere in between this kind of intensity and lighter fiction, but whatever I read or write, it has to have good pace, characterisation and dialogue. I did self-publish this book although I have published traditionally too. I think it is becoming increasingly difficult for good debut and little-known authors to get their work out there because the publishers and agents are all too often simply looking for the big name or the fast buck – in the ‘Fifty Shades of…’ tradition. The danger with self-publishing is that there are few regulations or controls on it so a lot of bad writing gets out there alongside the good and that give sit generally still a bad name, although I firmly believe it is one of the major ways forward. The editing and proof-reading first because of the tedium of it, and then feeling exposed when people start to read it afterwards. Writing is like exposing a very core part of yourself and your beliefs. You are vulnerable and it’s hard to develop a hard outer shell against criticism but yet you have to as literature is subjective. What one person likes another hates and you cannot be either too carried away by a good review or knocked back by an unfavorable one. It was actually relatively short as I first started writing in 2010 and my first book was published in 2012. I admire those who have been struggling g away with it for many years and doggedly stuck with it until they achieved success. No, I publish under my own name. I have written the books and therefore if I am not proud enough of them to take ownership of them, they shouldn’t be out there. Always have something to record ideas wherever you are. It may not be possible to write every day, but the longer you don’t write the more the frustration builds and when it’s built up enough I always find that’s when the great ideas spill out – usually when I’m driving! Make sure you have some way of recording them wherever you are – notebook, dictaphone, phone even. Have goals – even if they are small ones, so you feel you have achieved something. Have a long term plan – if you want to publish, have that as your plan. Join a writers group – they will encourage you and give you ideas, and you will do the same for your fellow members. Go to some classes if you aren’t sure on technique, style, content. One of the best inspirations I had was a course at Bournemouth University (my ‘local’) – the course teacher is now a personal friend and I learned so much from it, and the other people on it, it was invaluable. Learn how to edit and ‘kill your darlings’ if you have to. Read aloud – it really pinpoints problem areas. Be bold. No-one got anywhere without a little self-belief. 31)Where can your books be found? I write about transformation – of the mind, the attitude, of life or of belief. It can happen through anything – the smallest event in one’s life, the most unexpected meeting or the apparently insignificant emotion. The results are always amazing . . .
Debbie is having a Facebook competition. 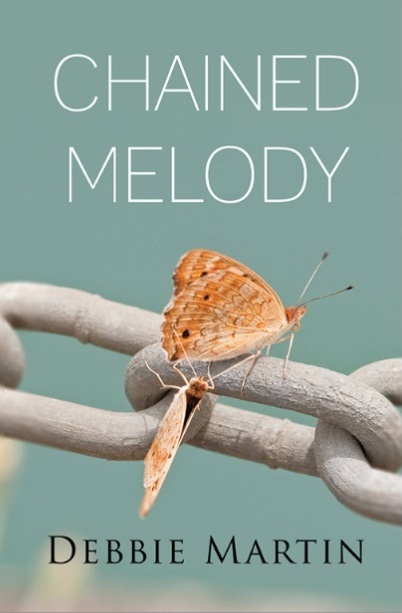 If you’re interested in winning a free signed copy of Chained Melody click on the link below. The competition runs until February 1st.